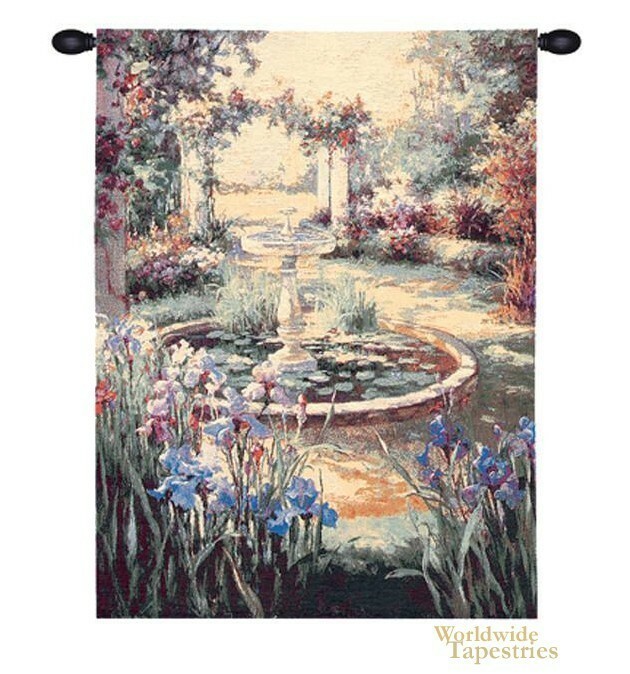 This Fontaine tapestry shows an idyllic garden with fountain and water lilies. Here we see a sunlit garden with flowers in abundance including the floral archway. Blue lilies in the foreground accompany the water lilies on the fountain itself. This Fontaine tapestry is backed with a lining and a tunnel for easy hanging. Note: tapestry rods and tassels, where pictured, are not included in the price.